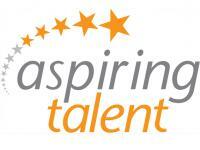 Aspiring Talent is a career management & recruitment consultancy focused exclusively on the health & medical communications industry. Our clients include an enviable portfolio of pharmaceutical/healthcare organisations and leading communications agencies. We are proud to represent some of the most talented individuals in the industry providing a holistic approach to their career development and recruitment expertise focused on ‘Best Fit’.